Tamilnadu School Education Board published 12th standard public exam blue print for all subjects. Visit the official TN DGE (Directorate of Government Examination) website www.dge.tn.gov.in and download Tamilnadu 12th Blueprint 2019 for group wise. The Tamil Nadu HSC blue print is available for both Tamil & English medium. 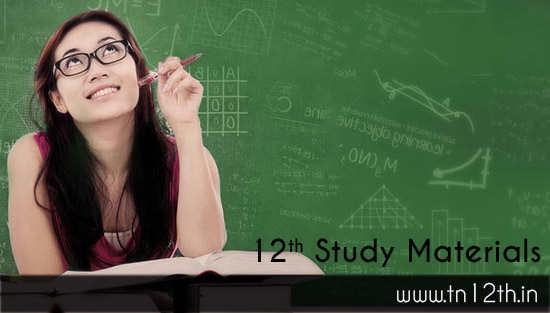 Select your class 12th, language or medium and subject name like Physics, Chemistry, Maths, Biology (Botany & Zoology), Commerce, Computer Science etc. You can save plus two exam pattern as pdf file for future reference. The Directorate of School Education has released the public board exam blueprint for the students who studying class XII. The higher secondary (Plus Two) public question paper should be design based on the blue print only. Weightage to Learning Outcomes Classified by four objectives. Students should get ready for their board examination based on the above learning type. The number of questions also classified by exam pattern. Each and every unit in the subjects having all these questions and marks. If you understand this exam blue print, you can easily guess which type of question asked from particular unit and how many questions should be asked from that unit. All Higher Secondary students going to face the public board examination in the month of March 2019. You can prepare for your exam using school books and notes. You can also refer online study materials which is available to download free. The previous year question paper, Syllabus, Exam Blueprint, One mark questions for all subjects and important question bank available in pdf format. Click on the below link and select your class name, subject name and medium of language. Then you can save it as pdf file. Then you can open any time you want to study. You can also download Model question paper for all subjects on the same download page. Upload computer science blueprint for this year.